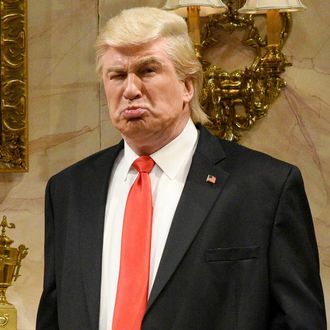 Alec Baldwin has been delighting Saturday Night Live viewers — and angering many others — with his uncanny impression of Donald Trump in recent weeks, so much so that Baldwin himself has now begun flat-out taunting the president-elect about his returns to Studio 8H. But if you were to put on your thinking hat and dissect the impression as a whole, what exactly makes Baldwin’s Trump so good? Is it the voice, the amplified and distilled gestures, the droopy lip, the Clinique Stay-Matte honey powder? Perhaps none of the above. As Baldwin explains, the key to his Trump impression is in the delivery — particularly in the “puffs,” or pregnant pauses the president-elect uses while speaking. 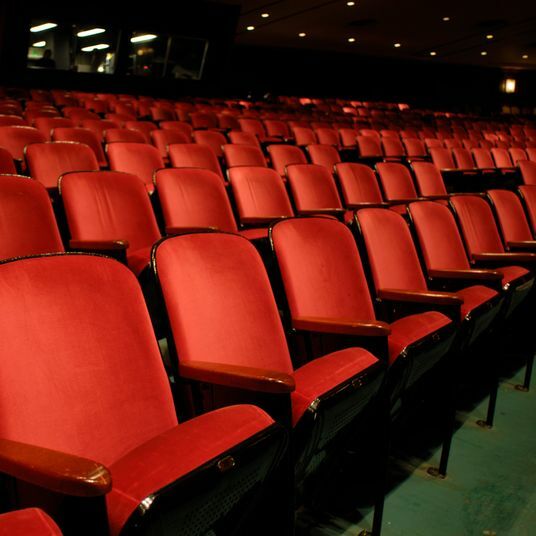 “I see a guy who seems to pause and dig for the more precise and better language he wants to use, and never finds it,” he said in a new interview with the New York Times. “It’s the same dish — it’s a grilled-cheese sandwich rhetorically over and over again.” Baldwin also notes that he isn’t too interested in Trump’s psyche, but rather the ways he moves and fills space, and recognizes the possibility that his impression may have helped humanize Trump in the lead-up to the election. “But I think that now that he is the president,” Baldwin explained, “we have an obligation — as we would if it was him or her — to dial it up as much as we can.” And if you’re curious, Baldwin is making $1,400 per appearance on the show. What a bargain.